Free PrestaShop CMS + VISA payment. (Via PBS) – PrestaShop open source e-commerce solution used in 150 countries and translated into 56 languages. Show your products in a unique way and give your customers the best opportunities to find and read about the desired products. When you get more visitors, your conversion increase. Moreover, it improves your rankings in Google. PrestaShop is the most used Webshop system and 100% your software that you can take with you if you want to involved in changing provider in the future. See and buy themes / designs for Prestashop from Template Monster – Click Here! See and buy themes / designs for Prestashop from ThemeForest – Click here! All functions are integrated in the software and is 100% free. PrestaShop comes complete with over 310 functions that have been carefully developed to help business owners increase online sales. 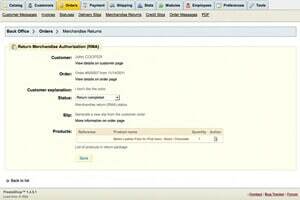 You can easily manage a dynamic product list by PrestaShop Back-Office. Whether your web store only has one product or thousands, you with the advanced administrative interface with a few clicks to manage the most complex calculations with updates. Import and Export, sorting of products, setup of bulk discounts and much more are also easily accessible. Handling of products has never been easier with PrestaShop. In PrestaShop you can effectively handle a large set of products with mass transfers and updates. You can easily make changes in product attributes with the click of a button, or you can change the products individually. PrestaShop is equipped to take your manufacturer’s product list and upload the entire file directly to the shopping cart. It’s also easy to upload Excel files. You’ll soon see your new store come to life. Create a new sales channel by placing the products on third-party product listings such as eBay, Amazon, Google Shopping and several other lists. Not only will these efforts mean that your business and your shop will be exposed to more new visitors. The presence of these platforms will also improve your rankings on search engines. 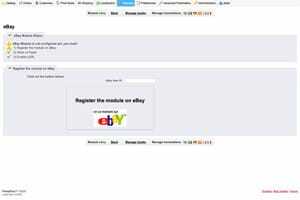 PrestaShop e-commerce software comes integrated with eBay, while others can be found in your Addons store. You just need to configure the module for the website and products will begin to integrate the major shopping sites following a few simple steps. Select how many products you want per page, and what properties are displayed. 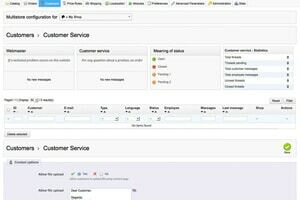 PrestaShop Back Office allows you to easily enable and disable certain preferences – eg. when the “add to cart” message to not be visible. You also have the option to display products “out-of-stock.” Customize specific properties and decide which attributes you want to display on a given page. Cross-sell / upsell offers customers products or services in relation to each other. By bringing together elements on one page gives you access to offer more options for customers. Cross-selling / upselling increase your conversion and allows you to show the variation of your products. If your company is engaged in the sale of downloadable products such as software, music, pictures, movies or TV shows? With PrestaShop, you have many options available to better manage these products. You can, for example. display a sekevens as part of the product specification. You can make your products available as a download or as an e-mail link that is sent to the customer after completion of booking and payment. 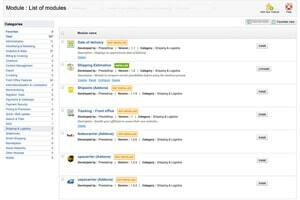 In PrestaShop you can easily organize your categories, products and attributes. There are no restrictions on the number and amount of categories, products and properties that you can display and sell in your store. An attribute could be a specific configuration of a product, such as size, color and etc. Pricing, weight and other specifications can be adjusted dynamically based on the selection. If there are many different alternatives in connection with a purchase, it may be difficult for the client to make a decision. 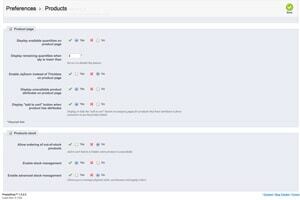 In PrestaShop you can compile with comparable products. It exempts the customer from having to guess the or switch between multiple products. 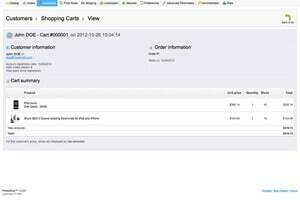 And make it more accessible to the customer to make the final buying decision and send the product to cart. 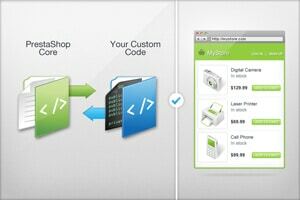 This feature is definitely promotion of webshops and will certainly also increase your conversion in your webshop. Navigation organize categories and products on all pages of your e-commerce site. Customers do is not click the back button on their browser. They may just find a category they are interested in and click directly to the product from the navigation bar. PrestaShop has layered navigation that not only makes catalog browsing easy, but also very SEO friendly. Each URL in the layered navigation is adapted to position the product names, colors, etc. 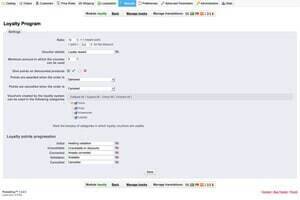 This allows customers to write a specific product in the search engines and land directly on your product page. In order to ensure greater efficiency for your business PrestaShop v1.5 contains an inventory management tool that allows you to get a full overview of your physical inventory and availability. Now you will be able to manage your physical inventory, including the establishment of supply orders and you get a view of your inventory through clear and specific interfaces. This inventory management tool will be built compatible with the new multi-store operation. Finally, you have flexibility in handling customer orders where a feature that allows partial deliveries are also available. Do you want to let customers know that you have only two units in stock of a particular product? PrestaShop allows you to display when products are almost sold out. 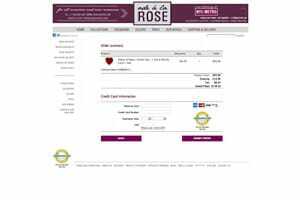 You can also choose to display a running total of the number of product in stock at all times. As sales of the products reduces inventory will be stated in the product description. This view of the number of products available has proven to be promotional. Online customers tend to feel animated to buy items with low inventory. You probably have some great photos to show to interested customers. 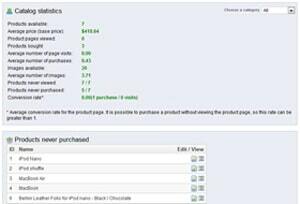 PrestaShop allows you to place as many product photos as you want. Good pictures help customers make decisions, and allows you to show all angles of a product. Many pictures will increase your conversion rate. “Shows related products” is a great tool to “up-sell” customers while they browse a product page, or during final action at the checkout. This feature allows you to choose the products that are related to each other, and show them to your customers. For example, it may be an alternative model for a dishwasher or additional accessories to wear with a dress. This function will show the alternatives below the product description. Wish lists are a wonderful feature that allows customers to create lists for future purchases. Shoppers in your PrestaShop example. fall for a product not just of stock, or they want to buy a product associated with a specific later date. With Wish Lists feature lets customers keep the products stored. You can also send automatic emails to remind customers of their wish list. Or send messages about a product on the wish list is now available. Customers can report products they like, by posting a review in real time. Browsing Shoppers can then read the reviews as they watch products. Product Reviews are one of the best forms of marketing. By asking for feedback on the products you are giving customers a voice and let others know what people think about your products. Allow customers to post their favorite product to a friend. It is not just about increasing exposure to your online store, but also that customers interact with your store. Customers can email a product or send it via their favorite social networking site. This feature is a great way to get others to promote your products. 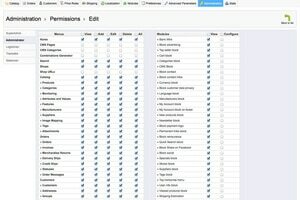 You can create as many users as necessary – with specific permissions set for each user. You may only allow a user to edit product or see “Order Statistics”? 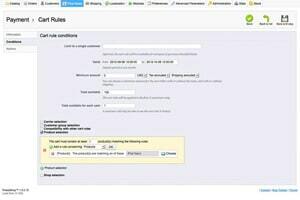 In PrestaShop you can assign specific settings for each user. PrestaShop comes with a great basic template that can be customized to your needs. All templates can be customized from A to Z. 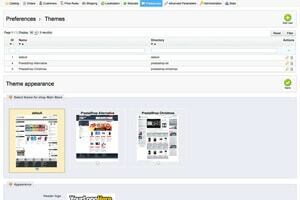 You can also download two alternative free templates from PrestaShop Addon store. Do you have special requirements for your template? PrestaShop offers a variety of templates that you can choose based on your industry or your design preferences. Make sure that your website shows your company’s “brand” and leaves a lasting impression on customers. Upload your logo in Back-Office and place it in your header on your bill and your favicon. 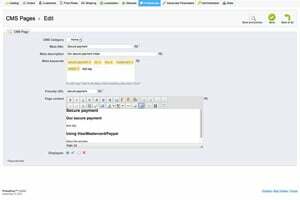 Enable multiple languages ​​your store. PrestaShop comes with five additional languages ​​- English, French, Spanish, German and Italian. 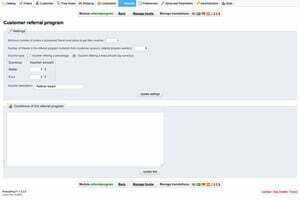 All translations are provided by professional oversættere.Du can therefore be sure that the grammatical errors that usually occur in the robot translations do not show up in PrestaShop. Need more languages​​? PrestaShop offers 41 free language packs that you can download and install with just a few clicks. A Content Management System (CMS) allows you to easily edit pages with content, upload photos, and more. Create pages for your contact, business and political information via the PrestaShop Back-Office. 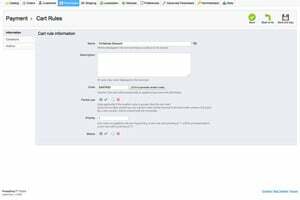 You can also set various user groups and assign permissions to allow others to edit informational pages. Reduce the load time by increasing performance. PrestaShop allows you to compress files and configure server settings to reduce the amount of information that is drawn each time a visitor loads a page. 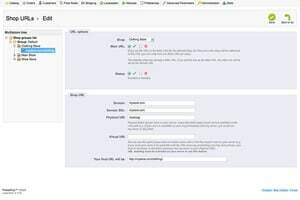 With PrestaShop allows you to create a faster way to encrypt cookies and collect PHP database queries. Improving the speed will also improve your rankings on search engines. Customer Relationship Management (CRM) og Enterprise Resource Planning (ERP) er software-programmer, der kan hjælpe med at automatisere operationer, spore salg og organisere kommunikationen. 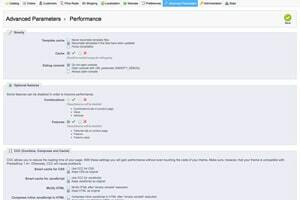 Hvis du i øjeblikket har et CRM-og / eller ERP, vil PrestaShop kunne integreres problemfrit med din software. Du kan tilslutte salgsoplysninger med kundeemner, eller relationer kan spores via en CRM. You can make changes to files without having to change the overall source code. For example: If you want to create a custom field for product catalogs, you can do so without worrying about changing the entire PrestaShop code and make mistakes when you graduate. When it’s time to upgrade, you can be sure that all data remains intact. This makes editing easier and gives you the freedom to customize to your needs. With options for multiple currencies, multiple languages ​​and multiple domains to multi-store operation to complete, efficient and integrated in PrestaShop. 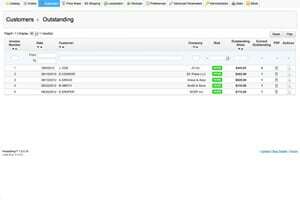 Multi Store will allow you to manage multiple stores from a single back-office. Online shoppers are always looking for the fastest way to check out on. 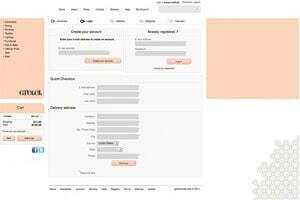 And PrestaShop allows you to make it easy for customers with “A Side” box. Your customers will enjoy the simplicity of the payment phase and the number of aborted purchase process will be reduced Boost your sales conversion and increase the ease with PrestaShop. Customers have the option of free to create an account, or they can continue to use the shop as a guest. This option allows your customers flexibility. With a personal account, they can return to the shop where their data will be stored. The ability to act as a guest increase your conversion as it offers customers the fastest way to purchase items. At checkout you can give customers an opportunity to order gift packages of the goods ordered. Shipments can also be personalized by attaching messages. This feature is great for special occasions and holidays. Your customers will appreciate this opportunity, and the function will animate them to buy gifts in your shop – again and again. Give your clients time to think – and increase your conversion rate. 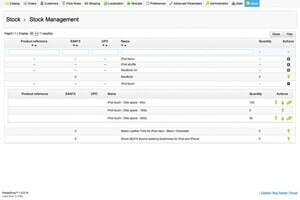 Customers can keep selected items in their carts, and you can configure a time when the elements are removed. Customers do not have to browse through your catalog again. They just need to click on “Order”. Your customers save time and your sales increase! A customer is always happy to get free shipping. You can set multiple incentives in freight rates. You can, for example. offer Free delivery shipping on orders over a certain amount. Customers will book without hesitation. You can also offer forsendelsrabatter based on destination and weight. You can create your shipping rates compared to the price or the weight of the products. Shipping cost will be calculated exactly the way you want. For each transport company or airline you’re working with, you can set individual prices and weight ranges, so you always offer the best shipping rates to customers. PrestaShop comes with a number of freight company modules ready to use with a few simple steps. Install and configure them with your account. Your customers can choose their preferred transportation method – based on experience, price or destination. Pricing is calculated automatically for customers – based on weight and destination. Each country has its own payment preference. Therefore PrestaShop open to a wide range of payment methods. PrestaShop comes with many modules embedded in each free download. 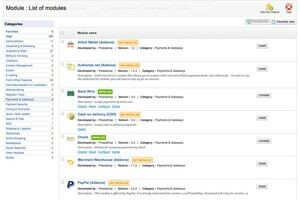 You can also choose the payment modules from PrestaShop Addons store. In order to retain your customers, it is important to achieve a strong brand loyalty. Thanks to PrestaShop powerful modules, you can send automatic emails and discounts on different criteria. You can, for example. decide to send emails based on what customers have bought – or draw attention to bestsellers. You may send information and offers for products that your customers care about. At checkout you can give customers an opportunity to have their order delivered in gift wrapping or personalize it with a unique message. This feature is great for special occasions and holidays. Customers appreciate this opportunity and will buy gifts on a regular basis. Offer rewards to your customers! PrestaShop loyalty program allows you to assign points to your customers for each product they buy. Customers can then convert these points into real discounts. In your Back-Office, you can create the value of a point and a minimum amount in order to use the discount. There is nothing like word-of-mouth buzz! Allow your customers to refer your store to their friends and reward them for each new order, they bring a special discount that you configure with a few clicks. You can improve your sales and gain more customers by offering coupons! 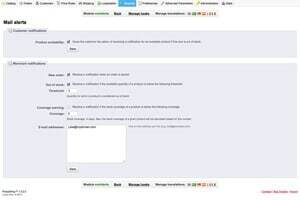 In PrestaShop you can create coupons and coupon codes for many occasions. You can individually determine the amount or the discount, customers must be able to achieve. 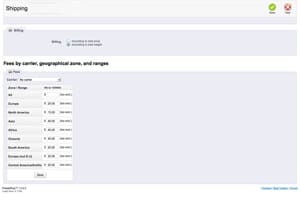 You can set the number of coupons and select various occasions to the issue. Coupons is a great way to increase sales. PrestaShop now includes a new B2B interface that makes buying and selling of goods and services between companies easy and effective. 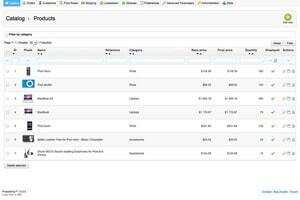 With this new feature you can keep track of all your B2B sales associated with that you handle every aspect of your online business. The integrated customer service function has been enhanced to now centralizes all your messages from different sources. You will no longer have to struggle to find a message somewhere in your store or e-mail. Now all communication devices will be combined under a single tab. Find out what your visitors are looking for and where they come from. PrestaShop offers powerful statistical data that allows you to identify customer profiles and track the pages visited, categories and products. 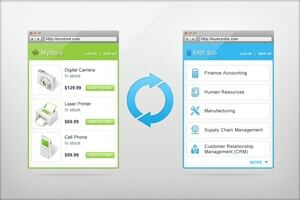 Track all orders and total sales directly from your Back-Office. See which days you reach your sales goals, and the days where it may not go so well. 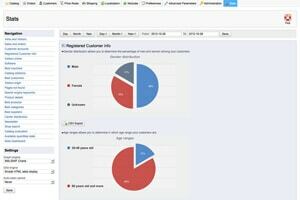 Follow your store’s sales performance and monitor campaigns from your Back-Office. PrestaShop makes it easy to keep track of your success. Track your customers’ favorite products thanks Prestashops advanced catalog data. You can also see statistics on how your content is performing. Observe whether your customers will respond to your product descriptions. You can also check the quality of the photos. With a single click you can check your bestsellers and Top Categories. 1.Et or more products must have 10% discount if you buy more than 2 pcs. 2.Et specific product should cost £ 10 (instead of 20 million) if a specific customer buys it. 3.All products in a specific product category, which is also associated with a specific product discount group to receive 10% discount. Electronic payment solution via PBS. Supports VISA, VISA / VISA, VISA, MasterCard, Eurocard, Diners Club, e-VISA Others Integration with all major acquirers in Scandinavia and Europe. Recognition of customers – the system remembers your name, address , email, etc. 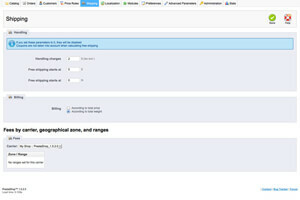 Ability to upload documents , audio, video files and the like . Selectable default language selected from the customer’s IP . 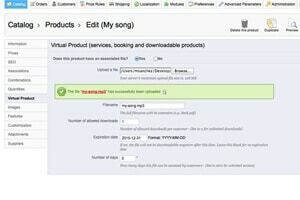 Enable or disable the VAT to be shown incl. or ex . “In the next version we are working to get made further advances in PrestaShop , and the exciting things we can mention the integration of financial systems , customer behavior , etc. .